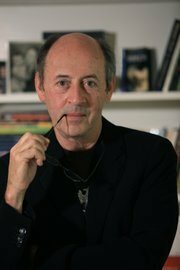 Billy Collins, who turned 72 yesterday (March 22), was once called the most popular poet in America by the New York Times. I love some of his poems that speak to me like a friend, telling stories in intimate, picturesque detail; I listen, completely spellbound, unable to interrupt, and the words linger in my mind long after the conversation is over. He describes books, beaches, houses, the last cigarette he had, incidents from childhood, memory slipping away, in a quiet, intimate voice that makes a deep impression on you. He can be witty, but you are drawn to him because he sounds so personal, so intimate, as he mixes memories with ruminations – and, always, there is the beauty of his word pictures, so vivid, so memorable. to find out what out it means. That’s not how he wants his poems to be read. He says so again in an interview published last month in U-T San Diego. Q: In this year 2013, why does poetry still matter? A: Might as well start with the big one, eh? Knock me over right from the start? Like any art form, it doesn’t really have to matter to everybody. Very few things do. But poetry is incontestably the only history we have of human emotion. It’s the history of the human heart. I think one reason why people turn to poetry in times of crisis, like post 9/11, or why they turn to poetry in moments of high occasion, like a wedding or a funeral, is that a poem often tends to connect them to the history of emotion. I try to let the reader into the poem in the first few lines. I don’t want the whole poem to be as accessible as the beginning is. I think of accessibility as what in chess you would call a gambit. It’s an opening strategy so the reader can step easily into the poem and find him or herself on sort of familiar ground. As the poem continues, I want the ground under the reader to destabilize to a certain degree as we move into a little vaguer territory. Q: I wanted to ask you about something else that a critic has said about your work, that your poetry “helps us feel the mystery of being alive.” Is that part of what you’re trying to accomplish? A: I don’t want to sound too unintentional about all this. I do sort of try to write one poem at a time. But I try to make the poem a kind of present experience for the reader. I don’t want the poem to sound like a recollection of something that happened a long time ago that I just wound up writing about. I think many of the poems have expressed this theme of a gratitude about being alive that is the result of paying attention. Often a poem will begin with a very clear observation of something in nature. Right now, I’m looking at the garbage man picking up the garbage and throwing it into the truck and there he is. You know, if you notice what’s going on around you intently, that should lead to appreciation of the fact that you are actually here, that you’re actually here to experience it. One of the deepest themes of poetry, and I’m echoing it, is just a gratitude for having experience. For being an experiencer. That’s what makes him special. He makes you see and feel what he has been through. He makes you feel alive, describing things and emotions in phrases and images that are richer than our own. PS: Here is another of his poems. Now read Birthday, Forgetfulness and Fool Me Good, all by him.